Home » Microsoft Teams » What is Microsoft Teams? Take a non-technical, virtual, interactive tour! 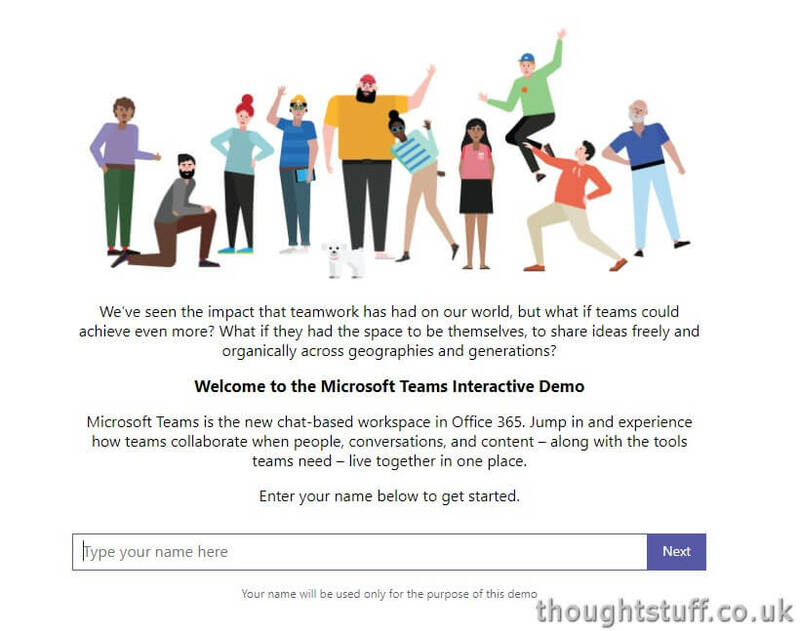 What is Microsoft Teams? Take a non-technical, virtual, interactive tour! Microsoft have produced a really good virtual and interactive tour of Microsoft Teams. It’s perfect for anyone who hasn’t yet tried Teams, or who logged into an empty setup and didn’t know how to get started. To begin, go to teamsdemo.office.com and put your name is. This is only used by the demo process to personalize the demo and make it more realistic. You’ll be walked through various other interactions as well, including sending memes! This is a really good resource if you’re brand new to Teams, or if you want to help a colleague quickly get up to speed without spending a lot of your own time on it. The next time someone says to you “oh, I don’t know how Teams works” – just send them this link: teamsdemo.office.com and they’ll soon understand how good Teams is!